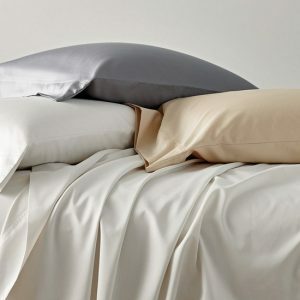 View cart “Donna Karan Collection Reflection Duvet Cover – Gold Dust” has been added to your cart. Classy and sophisticated, this stunning bedlinen will add glamour to your boudoir. A soft rose satin is combined with a gorgeous shell satin and is delicately finished with an intricate diamanté trim, adding some sophisticated Kylie sparkle. For even more sparkle, add the stunning Rose throw, tiny delicate sequins sit on a soft shell ground. Complete the look with a range of luxurious cushions in sumptuous velvets embellished with diamantes. Complete the look with a range of luxurious cushions in sumptuous velvets embellished with diamantes.